﻿ EURO 2012 » So Germans do want Euro 2012? EURO 2012 > Euro 2012 > So Germans do want Euro 2012? So Germans do want Euro 2012? “Germans have been negotiating with the UEFA to take over the Euro 2012 organization from the Ukraine”, said Franz Beckenbauer to Sueddeutsche Zeitung. Beckenbauer, FIFA and the German Football Coalition vice-president admitted that the Ukraine’s troubles with organizing the tournament, due to the global economic crisis and the political turmoil in the Ukraine have forced UEFA to come out with a plan B. „It is not a mystery that we have been running talks in Zurich concerning our actions in case the Ukraine does not meet the deadlines. 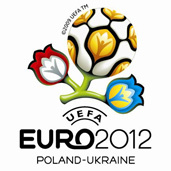 One such solution could be holding Euro2012 by Poland and Germany.”, the “Emperor” said. Sueddeutsche Zeitung wrote that such a scenario is has been talked about In UEFA and its head Michel Platini has been subtly preparing Europe to face the change of the Euro 2012 host. He guaranteed recently that, in case the Ukraine fails, Poland “would surely not be holding the tournament on her own.” One possibility considered by the UEFA is moving the tournament to Spain. Another, supported by Beckenbauer, is changing Poland’s partner from the Ukraine to Germany, and holding some games in Dresden, Leipzig and Berlin. ”Let us wait until the next sitting of the UEFA executive committee on January 30. Then it will become clear whether the Kiev stadium is likely to be ready on time. Without it, as Platini stated, Euro 2012 will not be held by the Ukraine – said Beckenbauer. Poland will be able to do it alone without ukraine. Say NO EURO 2012 without Ukraine! !